Tagged funcube, rx, SDR, software defined radio, wideband FM. Hi. Are you sure you have upgraded the Funcube to the latest firmware? See my post about upgrading. 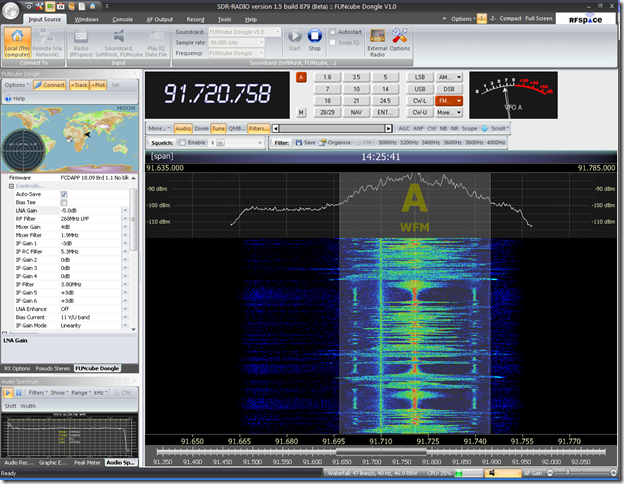 You have a tab in SDR-RADIO that shows if you have phase lock. If you don’t have phase lock it appears like the Funcube accepts the QRG commands and there is noise, but no signals. Also, you should find a QRG where you know for sure that you have a strong FM broadcaster. Try with your kitchen RX for example.